Classy Choli Blouse for your favorite Saree or Lehenga, Skirt or Jeans. Synthetic Brocade, three stitches choli; Remove 1 or 2 stitches for best fit. # 7528 Small 36, Golden, good for bust 35 to 37, Padded, Back Open, 16” Sleeves. # 7529 Medium 38, Golden, good for bust 37 to 39, Padded, Back Open, 16” Sleeves. 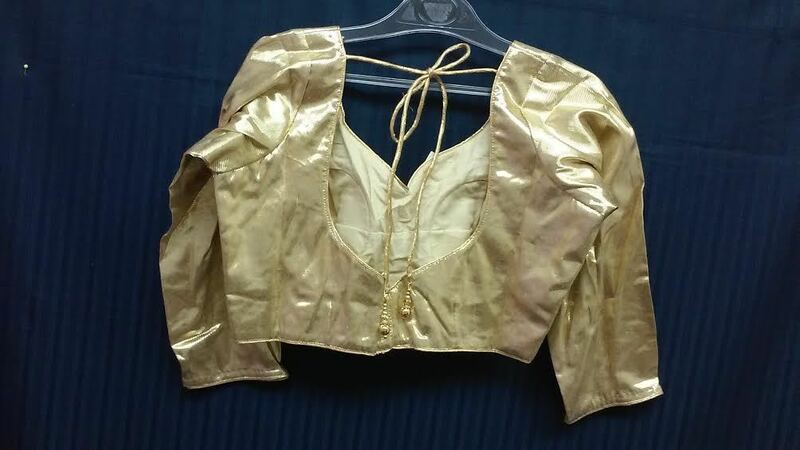 # 7530 Medium 40, Golden, good for bust 39 to 41, Padded, Back Open, 16” Sleeves. # 7531 Large 42, Golden, good for bust 41 to 43, NO PADS, FRONT Open, 16” Sleeves. # 7532 Small 36, Golden, good for bust 35 to 37, Padded, Back Open, Short Sleeves. # 7533 Medium 38, Golden, good for bust 37 to 39, Padded, Back Open, Short Sleeves. 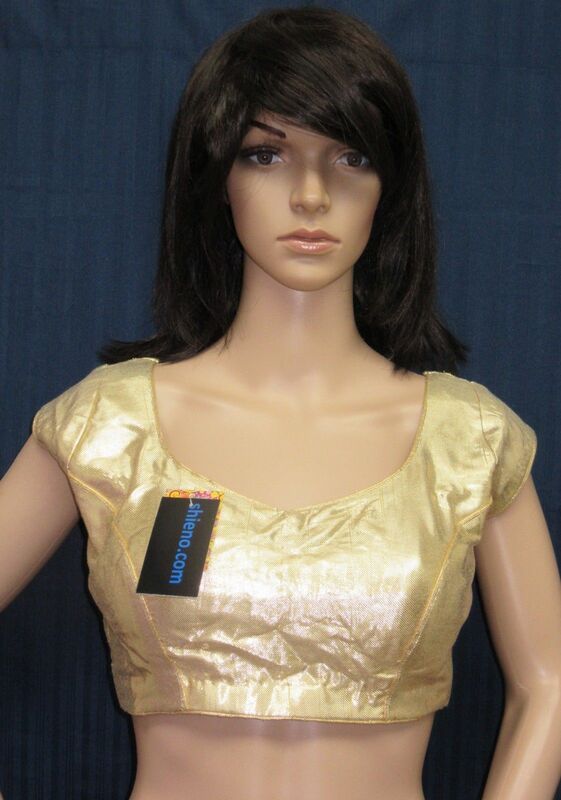 # 7534 Medium 40, Golden, good for bust 39 to 41, Padded, Back Open, Short Sleeves. # 7535 Large 42,Golden, good for bust 41 to 43,NO PADS,FRONT Open, Short Sleeves. Buy Golden Brocade Choli/Blouse for Sarees (S M L) Long Sleeves Short Sleeves, sold & shipped by Shieno Boutique where you can shop online for Latest Sarees, Salwar Kameez, Shawls, Jewelry & Clutches. This Petticoat & Blouse collection has been tagged as belly dancing, women clothes, ladies top, readymade blouse sale.